The most important step in growing tomatoes in pots successfully is choosing appropriate tomato varieties for the containers you are using. It’s the pot size that helps you know what variety to choose. Some need to grow in larger pots in order to stay healthy and produce fruit. 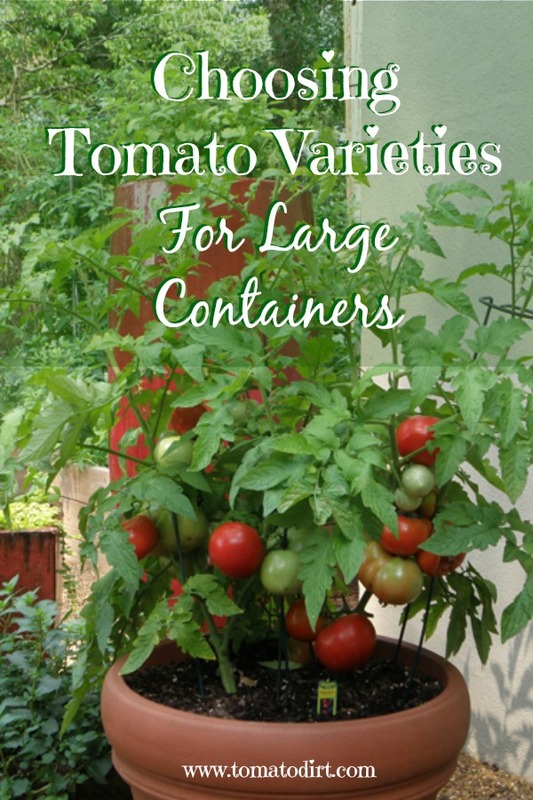 The tomato varieties listed here have a reputation for working well in containers, buckets, tubs, pots, and window boxes 5 gallons or larger. Sprite is an excellent grape tomato perfectly suited to patio and container gardening because of its short, compact size. 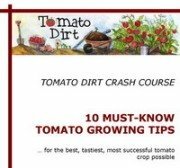 Tomatoes are prolific and continue to produce until frost. Fruit is sweet with thin, crisp skins. Plants are just half the size of the original Better Boy, but they produce the same heavy number of tomatoes with similar flavor. Bush habit doesn’t require staking, but heavy producing plants may do best when you cage them. One of the best patio and container varieties, Bush Goliath is also suitable for small gardens and for indoors. It produces good yields consistently until frost. Early Girl is well-suited to areas with shorter growing seasons because it ripens so early. True bush habit means no staking needed! Husky Cherry Red’s habit is shaped like a Christmas tree, reaching 3-48 inches high, with dense production in clusters lasts all season. The variety has a well-deserved reputation for large yields. This dwarf variety is one of the most popular for growing in pots on patios, decks, and balconies – in containers at least 12” in diameter and 12” deep. Its foliage dark green and attractive. Tomatoes are flavorful. Patio produces so many tomatoes that the weight can pull plants over, so it’s best to stake it. Sweet 100 is a favorite to grow in garden plots but works well in large containers when staked. Multiple-branched clusters produce 100 or more small but incredibly sweet fruits – hence the name. Many gardeners cite their only problem with Sweet 100 is overproduction. Hybrid, indeterminate, 65 days, dark red, cherry tomato, resistance: Called by some as “the sweetest, best-tasting red cherry,” Sweet Baby Girl Hybrid grows on long clusters and produces incredible yields. Window Box Roma was bred to grow in pots, containers, and window boxes. Thick stems mean support is not needed. Roma fruit is good not just for salads and snacking but also makes great sauce.